Today’s Site of the Day is AAA Town, an interactive site from AAA Insurance in the United States. 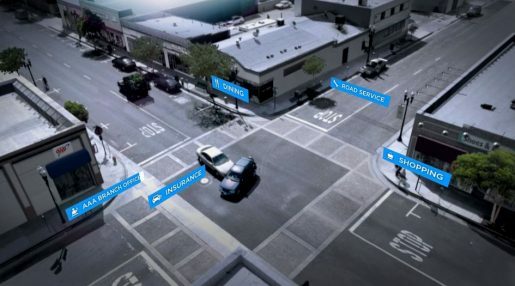 The site presents a collision between two cars through a range of perspectives, each providing connections with the services provided by AAA: insurance, road service, shopping, dining, and the local AAA branch. In each scenario presented the viewer has the opportunity to drag the cars apart before accessing information on ways AAA could help. The site won a Gold Interactive Lion at Cannes International Advertising Festival this year. AAA Town was developed at Publicis & Hal Riney, San Francisco, by chief creative officer Roger Camp, interactive creative director Dominic Goldman, art director Rikesh Lal, art director Rich North, copywriters Sam Moore, Justin Kramm and Adam Koppel, director of integrated production David Verhoef, agency producer Dora Lee and account supervisor Kathleen Foutz.